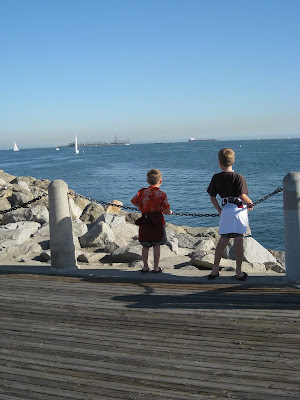 After Saturday's ever so enjoyable Flu Shot experience, we took a little trip to Long Beach. 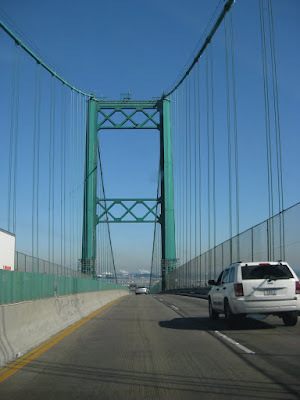 We went over the Vincent Thomas Bridge which takes you over and through the Port of Los Angeles, one of the world's largest container ship ports (certainly the busiest). Then we walked through Shoreline Village with it's pastel buildings filled with touristy tee shirts, arcades and candy shops. 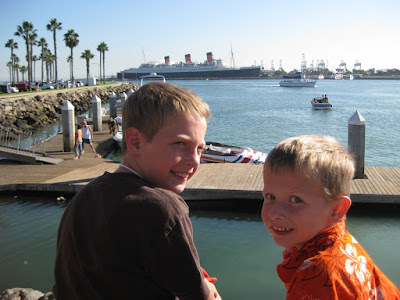 We took a stroll along the harbor, which gave us a view of the Queen Mary (right over Nat's head). 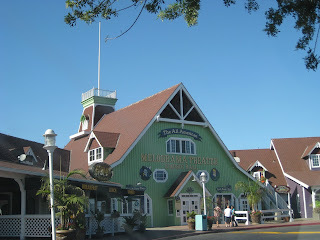 Then we saw a show at our friend Ken's theater, All American Melodrama, which you'll hear more about soon. 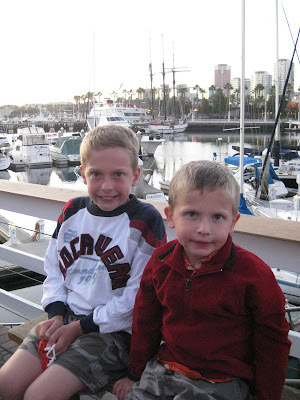 We watched the sun set over the sailboats docked for the night. 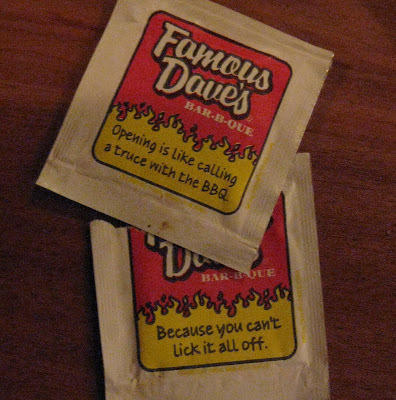 Before coming home, we dined at Famous Dave's BBQ, where we ordered a feast to share that was served on a trash can lid (lined with wax paper of course). All in all, it was a great day and everyone quickly forgot the trauma of the morning and those needles! The mall was a CIRCUS!